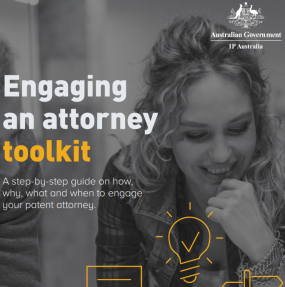 IP Australia recently released a toolkit that details everything you need to know about engaging a patent attorney. Shelston IP directly assisted IP Australia with the preparation of the toolkit. As a result, Shelston IP’s client OzStar Therapeutics has been detailed in a case study on how patent attorneys and clients work together – set out in Toolkit Point 6. Dr Nick Gorgani founder of OzStar Therapeutics is a medical doctor, scientist and inventor of a world-first sustainable treatment for Type 2 Diabetes. Dr Gorgani speaks about his experience with his patent attorney Dr Grant Shoebridge. ‘I had no idea at that time. I’m a scientist so I knew what a patent does, but I didn’t know how to draft and prosecute the patent application,’ he then goes on to say ‘Choosing a patent attorney that you can get along with and work transparently with are key aspects involved in successful patent drafting and prosecution’.